Micros (www.micros.com) is one of worlds largest providers of software reservations systems to the lodging industry, with many Hotel chains and property management companies choosing Micros as their solution. Auto Telecom (Taiwan) and TransTel Communications (USA) announce the achievement of compatibility and certification between its Hospitality Telecommunications Systems GDS/TDS-600 Series and the Micros Opera and Fidelio PMS interfaces. Having developed the GDS/TDS 600 Hospitality Series to be compatible with Micros opens the doors for many of our partners worldwide. This presents an integrated solution to some of the largest hotel chains in the world. 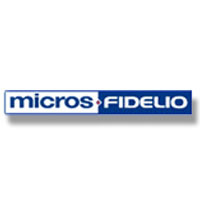 The PMS solution that exists between the Hybrex/TransTel Lodging systems and Micros Opera/Fidelio PMS is a bi-directional interface that exchanges information and updates the software database in each otherâ€™s system. The result is a seamless integration that automatically updates both telephone system and property management system without having to duplicate effort. It is designed to meet the varied requirements of any size hotel or hotel chain that provides all the tools a hotel staff needs for doing their day-to-day jobs such as handling reservations, checking guests in and out, assigning rooms and managing room inventory, accommodating in-house guest needs, and handling accounting and billing.